On October 3rd, we have a lot to look forward to! At this year’s Bal Masqué: Midnight in the Garden of Good & Evil, we don’t know what we are most excited about—the food, the incredible venue, the music or seeing the gorgeous masks of our guest. One thing is for sure, we are on pins and needles to see this year’s performance! Gracing the stage at Bal Masqué are three major acts that we know you will love! Last year, the lyrical talent and fluid beauty of dance by Fuzion amazed guests. We are so happy to announce that they are coming back for another Bal Masqué. Expect incredible things. Part dramatic interpretation, part fluid movement, party storytelling, each performance by Fuzion is unique and we can’t wait to open the curtain for their performance this year. 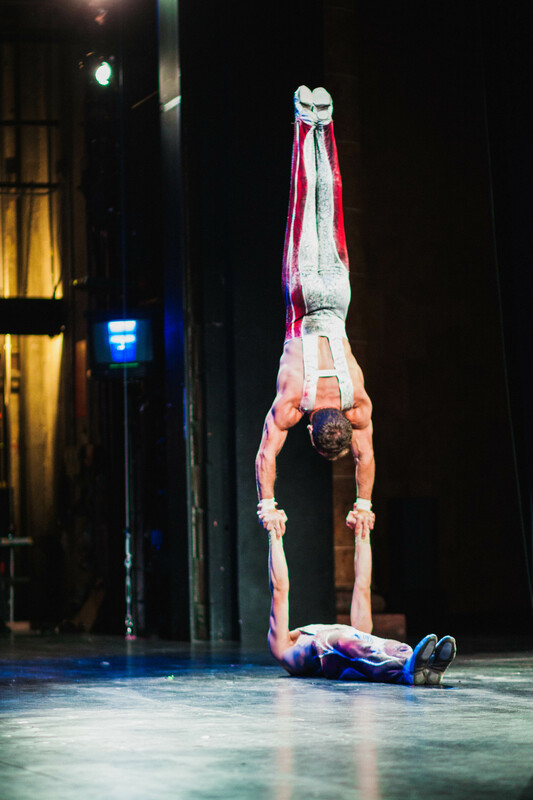 Sarasota Circus Arts Conservatory always delivers a stunning performance. Not only are their performances beautiful, each performer’s level of skill, strength and talent is just astounding. Back by popular demand, an aerial performance that seems to defy gravity will be, in a word, mesmerizing. 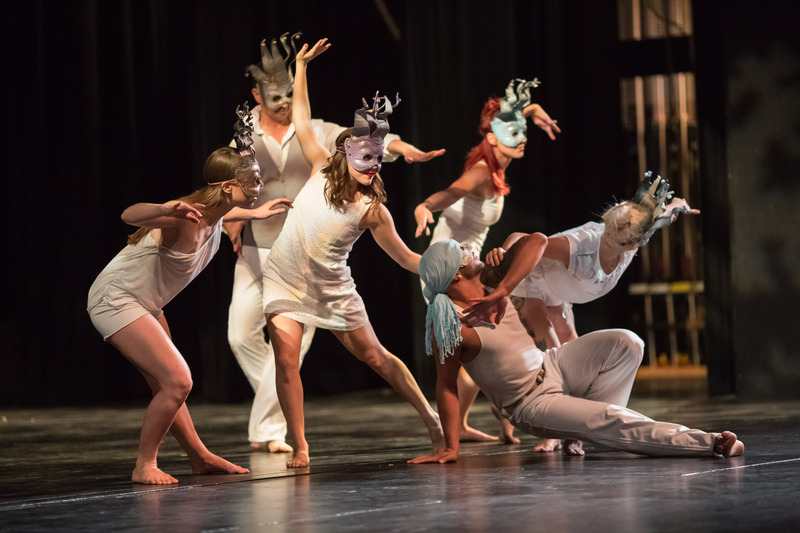 The Sarasota Circus Arts Conservatory captivated the auditorium at the 2014 Bal Masqué gala. Photo credit: Shane Donglasan. Elegant costumes, precise yet graceful movement and expert choreography will be the showcased by the Sarasota Cuban Ballet. There’s a certain magic that happens on stage when pointe shoes, music and tulle mix under the lights of a theater. Don’t miss it. Famous jazz legend Wynton Marsalis once said, “The bandstand is a sacred place.” We agree that there is something otherworldly about experiencing live music. In the spirit of creating an unforgettable evening, we’re planning on bringing the music down from the stage and amongst our guests. Before the doors of the auditorium open, the sounds of jazz by the Swingtide Combo will fill the expansive Sarasota Opera House. Outside in the courtyard, Jen&Ray’s melodies will serenade guests beneath the stars. You won’t want to miss a moment of this year’s Bal Masqué. Tickets are available for purchase for $125 in advance or $150 at the door. Purchase yours now at SRQBALMASQUE.COM.